The TOC logical tools are a significant contribution to enhance the understanding of problems and provide a good base for finding and/or developing solutions. Nevertheless, in many cases those using the tools do not fully benefit from working with them because of mistakes and lack of clarity in the guidelines. 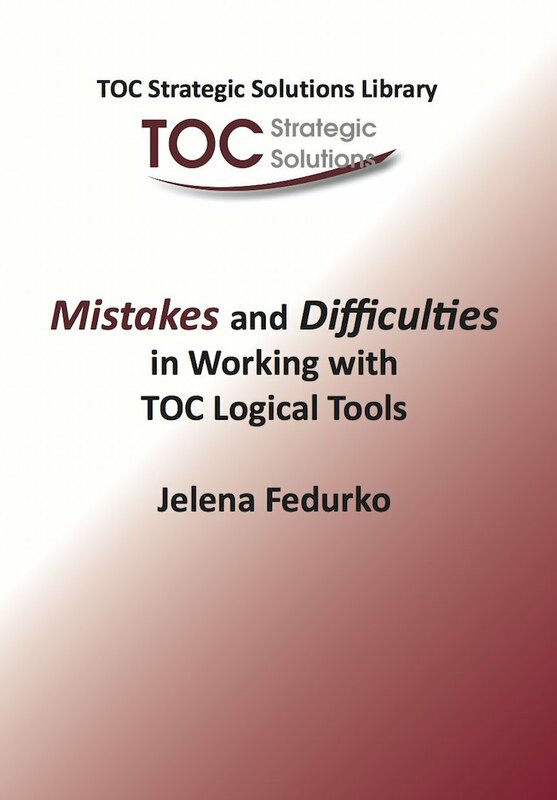 Jelena has designed this textbook as a reference guide for members of the TOC community who have tried working with the logical tools and have not seen the value from their efforts, but still have the stamina to learn more about how to use them correctly. 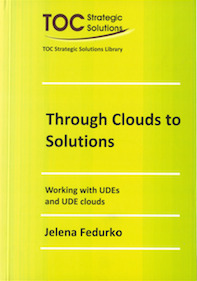 Mistakes and Difficulties in Working with TOC Logical Tools focuses on typical errors in wording, content, logic and purpose of Clouds and Current Reality Trees (CRTs) and looks into confusion between necessity and sufficiency logic. You will be exposed to several types of mistakes, and one by one Jelena will explain why it is a mistake, show examples, and offer rules and guidelines on how to avoid the mistakes. It also offers a case study for individual work and provides the answers. CHAPTER 13. Some thoughts about a claim that an objective of a project should be an Injection to a Cloud.